Today is a holiday in Germany. As a freelancer I usualy work on holidays, too. But today I am taking a day off and I am going to paint and sculpt all day. 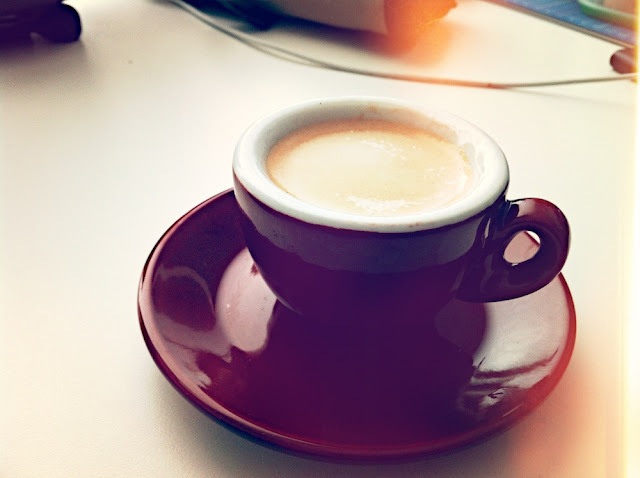 So I start the day easy with a espresso and some relaxed music. Well, it is only a holiday in certain catholic provinces of germany. The rest of us has to work! Sitting at work with may cup of coffee and enjoying your relaxation. Have a nice day! LOL, Even your coffee is a Mini.